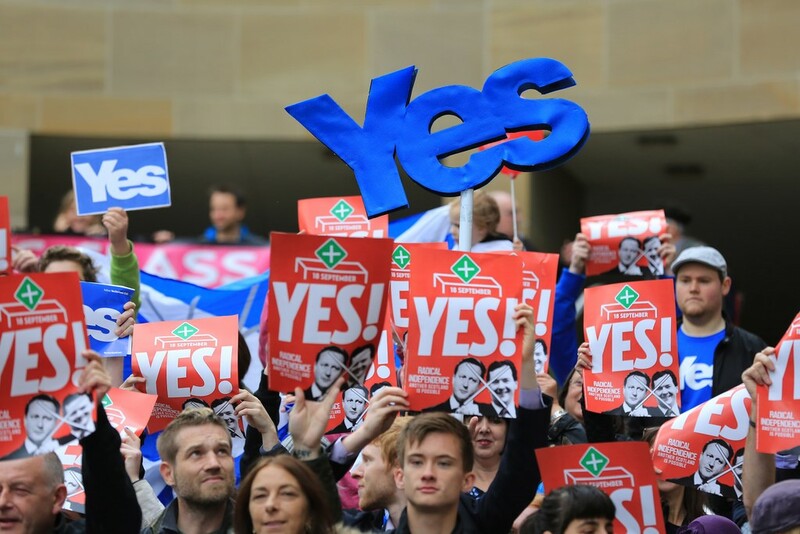 Looking back to 2014, specifically the referendum on Scottish Independence I remember activists including myself pounding streets around Scotland for a ‘Yes’ vote. Promoting a genuinely radical vision - a vision that posed a threat to those who were content with the status quo. One that didn't need a politicians signature but pledges made for and by the people. After the independence referendum being honest, the movement sadly has strayed into nationalism - something that I didn't see a lot of during the referendum. It now seems everything related to Independence needs to have a saltire put on it or an SNP logo. I am not going to hide the fact that I deeply dislike the SNP, a large part of that is because of the my local SNP Council in East Ayrshire but also because of the parties timid policies nationally. This article isn't just to critique the SNP (something which is much-needed) It's about addressing the fact that the only way to win the next independence referendum, or even have one is to embolden socialist and left wing ideology into the heart of the movement once again. If you look to the independence struggle in Catalan they have moved from strength to strength for one simple reason - the movement is based on based radical transformative politics. I want independence to mean something again - something that actually offers real change to peoples lives. A poll near the time of the Holyrood election found that most independence supporters had left wing views, my question is why isn't that translating into what we are seeing today which is attacks on people from the radical left by nationalists. We shouldn’t let our movement be defined by this but sadly it is and it is turning people away. If an independence referendum was held this year I don’t we would win it. The ideas that brought people out in droves who had never voted before are not being discussed anymore. Such as an end to welfare sanctions, an end to nuclear weapons and taking back control of the economy. These ideas were vital foundations. The most important thing is to start building these ideas back into the conversation about independence again. In the same style Momentum has brought Labour to the brink of government, the left must unite the independence movement. I am worried that instead of these radical ideas that made 2014 so memorable that the next Independence referendum will be heavily focused about the EU and preventing Brexit. I can see how the SNP who have based all their current campaigns on keeping Britain in the EU will think this will be successful, it is a centrist issue that captures the mindset of the middle class just now. But the thing that they are forgetting that it wasn't the middle ground that made working class council estates vote yes. Arguments that are used to convince business owners and the wealthy can’t and must not be used to narrate the campaign. We need to remember that 38% of yes voters backed leaving the EU and the majority of working class people in Scotland don't find the European Union to be important to them. It's not hard to see why - the European Union although somewhat progressive has allowed itself to be transformed into a neoliberal project intent on doing the work of bankers and big business. We must ask ourselves a deeper question about who will run the next independence referendum. The SNP should not have a monopoly on the movement - it should be grassroots and free of party’s controlling the activists on the streets, just like 2014 was. While no party at Holyrood is willing to accept real answers to the crisis of inequality we face today, that is the job of us involved in the grassroots side of politics, and what the ‘Yes’ side of the independence referendum should base our arguments on - answers that pose a real change to real people's lives.